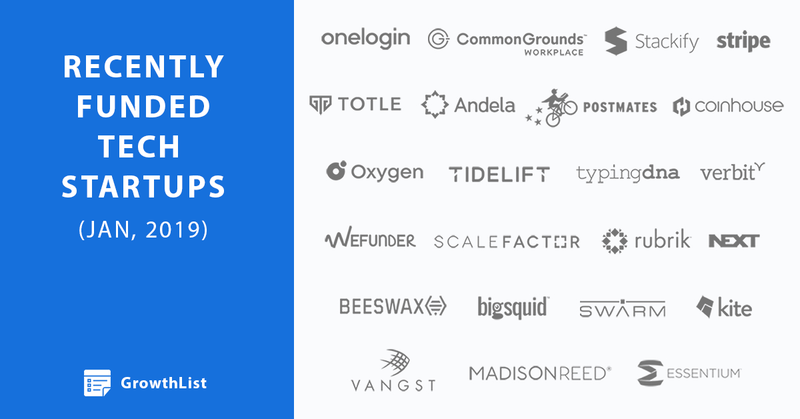 Ready to do business with tech companies that received $180B+ in funding in January, 2019? Fast-growing tech companies experience many pain points in their business. How can you help them? If you have a product or service that can help fast-growing tech companies operate more efficiently, it's important you contact them before your competitors do. Be smart and reach out to these companies directly with an introduction. This hand-researched in-depth report of fast-growing tech companies will save you time researching the companies you should be doing business with right now - allowing you to put more time and effort into building relationships with potential new customers over researching who to contact. This report includes in-depth details on each company, details on the CEO and over 1,500 validated email addresses - making it easy to reach out to each company in seconds. Start building relationships with these fast-growing tech companies before your competitors do. Click here to view a small sample to understand the format. This report comes in both .csv and .xlsx formats for easy import into Google Docs or your CRM of choice. Instant download - limited to just 100 downloads. Last updated: 18th February, 2019. Please contact us if you have any questions, or would like to purchase using BTC/ETH or Paypal. We are a small team who are passionate about uncovering exciting tech companies we think sales teams and investors will want to discover. We pride ourselves on providing accurate data, which is why we research all our reports by hand and never rely on software or bots (we know from first-hand experience they produce poor results). If you have any questions about our reports, please do not hesitate to contact us.